After an extended hiatus, we’re now finally into our fourth edition in our “From The Spartan Archives” series, and today, we’re looking at an interesting albeit restricted chapter in Spartan Cricket Club history. 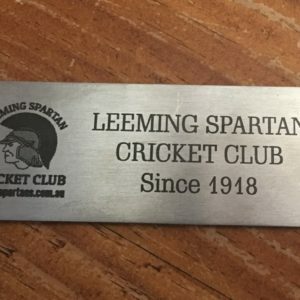 An incredible chapter in Leeming Spartan Cricket Club history occurred in early 1996, when after an incredible sixty-seven years, the Club departed the Fremantle & Districts Mercantile Cricket Association, and joined the South Suburban Cricket Association, with the aim of a future merger between the two governing bodies. Tabled below is the complete list of Spartans who have received Life Membership of the South Metropolitan Cricket Association, and earlier, the Fremantle & Districts Mercantile Cricket Association. The first instalment in our new “From The Spartan Archives” series features something truly incredible – our first ever premiership trophy! During our Annual General Meeting last Sunday, we were delighted to receive the Club’s first ever premiership memorabilia from Brian Waterer, who incredibly and unexpectedly brought it along, and it will now sit in prime position in our trophy cabinet! 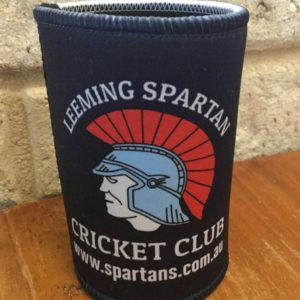 Bendigo Bank Fremantle – Proud Supporters Of Leeming Spartan! Did you know that our Gold Sponsors Bendigo Bank Fremantle have been major sponsors of the Leeming Spartan Cricket Club since 2012? We encourage all members, friends, and readers alike to support Bendigo Bank Fremantle just as they have supported us! The third chapter of the history of the Leeming Spartan Cricket Club, detailing the period of 1942 to 1945, during the Second World War. The locations of some of the most popular grounds in the competition!